This modern Gothic remake of Jane Austen's Northanger Abbey, and nod to Stephenie Meyer's Twilight series, will leave you in stitches. Seattle, Washington and the Russo family are no match for Claire Hart and her savvy knowledge of all things vampire related. Thanks to her obsession with the Twilight series--if there is anyone who would know a vampire when she saw one, it's Claire. And she's positive totally hot Tony Russo is a vampire, she just has to prove it! Follow Claire's hilarious journey on her first summer adventure away from home, where she learns everything isn't what it seems, and in some instances, reality is way better than anything she'd ever find in a book. I'm usually wary of remakes of classics, but this one kept sticking with me, mostly because Northanger Abbey (which I haven't read yet, but will definitely get around to) is a great one for a hilarious modern remaking, since it itself is a satire on the late-eighteenth-century gothic novel, and because Twilight and the Twi-hard phenomenon are also another great fodder for satirization. I hope this one will live up to its potential! 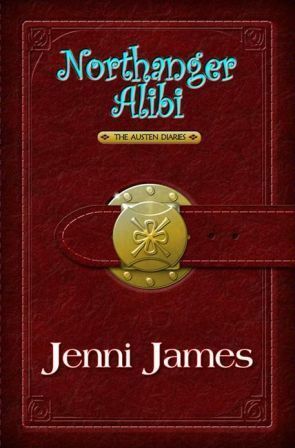 Northanger Alibi will be released in hardcover by Valor Publishing on June 1, 2010. Sound interesting to you? What are YOU waiting for this Wednesday? I read some of this one when the author had some of the chapters posted on the writing community website authonomy.com. I could not get into this one at all, I'm not a big fan of the remake classics. Especially one where the main character is obsessed with the Twilight series. I'm so Twilight-ed out. This sounds entertaining to say the least. Thanks for sharing! I will definitely be reading this! Sounds hilarious! I tried to read Northanger Abby, but couldn't slog through it. I'm sure this one is much better and I look forward to reading it. Nice review! I like that you were able to read and enjoy it even though you haven't read Northanger Abbey yet because I haven't read it yet either. I am adding this one to Mt. TBR! Hehehe! YES! I LOVETH YOU! And I hope you love the book as much as I do! It's definitely not for someone who doesn't like to laugh, that's for sure. PS BookRants, I threw a very unedited version of NA up on authonomy as a foil--I was actually on the site to secretly scout for my agent. So if you didn't get into the book because of my writing--it was completely unedited... but, if it was because it was a satire of Twilight... then yeah, you'll never like it! LOL! This sounds hilarious. Northanger Abbey is such a good story to retell and the idea of using Twilight is genius. Will be looking forward to this one very much.